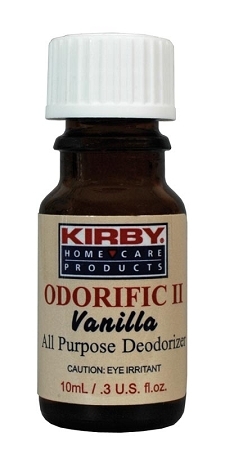 Odorific II Concentrated Fragrance There are certain smells that knock you out or at least, cause you to sit down. You don't have to take it sitting down any more with Odorific II. The vilest of smells will be vanquished with a few drops. Banish Foul Odors Shake a few drops in your stinky garbage cans or in your indoor trash containers. You can also place a few drops on a cotton ball and place it in your shoe closets or in the outer cloth bag of your home care system. (Not recommended for carpet, plastic, rubber or painted surfaces.) Choose your favorite scent.